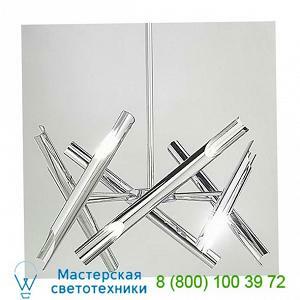 Предлагаем вам купить Lib_3B Ricca Design Liberty 6 LED Chandelier, светильник по самой низкой цене - ждем ваш запрос для просчета размера скидки. Features: Design: Roberto RiccaCan be dimmedManufactured In: ItalyRatings: Location Rating: UL ListedSpecifications: Iron# of Arms: 3, 6Stem/Downrod included: One 23.60 in. Canopy Shape: RoundLamping:-6 X 75W 12V LED module, 10440 lumens, 3000K, 95 CRI (included)Dimensions: Canopy: Dia 5.5 in Downrod: L 23.6 in Fixture: H 23.62 in, Dia Adj From 21.65 in, Adj To 27.63 in, Adj From 21.65 in, Adj To 28.59"Maximum Hanging: L Adj From 34.32 in, Adj To 37 in.